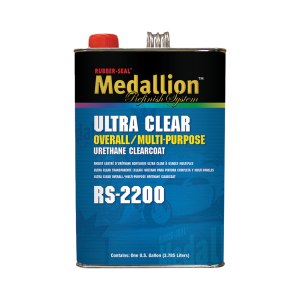 This multi-purpose, medium solids clearcoat can be used for single panel, multi-panel or overall applications. Ultra Clear is National Rule compliant and finishes with excellent gloss and DOI. It works exceptionally well in down-draft bake booths and warm, humid environments. It mixes 2:1 with RS-2200 series activators (RS-2260, RS-2275, RS-2285 and RS-2295). Available in gallons only.